Donning graduation caps and robes, the youth were selling the fritters on the roads, just few metres away from the Palace Grounds, where PM Modi was addressing a massive BJP rally. PM Modi addressed a BJP rally in Bengaluru on Sunday ahead of Karnataka polls. Bengaluru: As many as 10 people were detained by police in Bengaluru on Sunday for holding protests against Prime Minister Narendra Modi by selling "pakodas" to condemn his recent remark that "pakoda" selling was also employment. 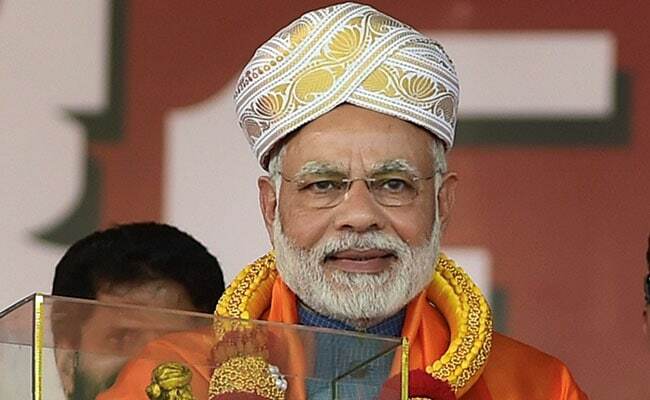 In a recent interview with a television channel, PM Modi had claimed that someone earning Rs 200 by opening a "pakoda" shop by the street cannot be called unemployed. Meanwhile, around 100 more people belonging to pro-Kannada organisations were also detained by police at Freedom Park in the city centre, as they held protests demanding PM Modi's intervention in Mahadayi water dispute between Karnataka and Goa. The city witnessed heavy traffic snarls on several arterial roads during the day as thousands of people from across the state visited Bengaluru to listen to PM Modi's speech. PM Modi addressed a public gathering on Sunday that marked the culmination of the BJP's 90-day rally across the poll-bound state. With over 1,000 policemen and 1,200 traffic policemen deployed around the venue, the city centre had turned into a fortress.